Price isn't the only thing when it come to getting your Medipore products, experienced customer service is priceless! 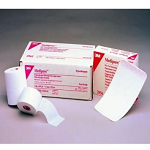 Surgical Tapes from Medipore are perfect for fixing any wound care dressing to any wound and are also useful for securing tubing and catheters. Medipore Surgical Tape is comfortable and porous with a comfortable stretch to accommodate swelling and movement. Sporaid offers superior quality surgical tapes from the internationally love brand Medipore at the best price. The Medipore Soft Cloth Surgical Tape (2, 3, 4" wide) is leading the way for Medipore, and Sportaid is the place to find it. Sportaid is the best place for Medipore Surgical Wound Care Tape with savings of 5%!